Kind words can be short and easy to speak, but their echoes are truly endless. 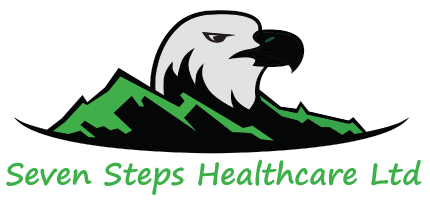 Seven Steps Healthcare focuses on you as if it was our own family. We are a health and social care staffing agency based in the heart of England. Our offices are open from Monday to Friday 8:30 – 6pm. However we offer 24/7 support. We recruit nurses across the globe, from different backgrounds thereby bringing different expertise. We are an agency that treats every employee as unique, valuable and not forgetting that they are the pillars of the organisation. They guide us, shape our vision and inform us in making decisions. All our employees have different expertise; some are doing higher education, with some have completed their NVQ’s qualifications or either working towards or complete care certificate training. We support people with Learning disabilities, Autism Spectrum, Challenging Behaviours, Dementia, End of Life Individuals, Brain Injuries, Eating Disorders, Substance Misuse Problems, Physical Disabilities, Sensory Impairment and Mental Health Illness. Live – in carers is full care at home which allows you, or your loved ones to stay at home, relaxed in a comfortable environment, whilst 24/7 support is being given. We provide these services through our dedicated team of nurses. We recruit nurses across the globe, from different backgrounds therefor bringing new expertise. At Seven Steps Healthcare, we are very mindful about the importance of maintaining service user’s confidentiality. Individuals we support expect that information about their health is kept confidential unless there is a compelling reason that it should not be and this is linked to respect individual’s autonomy. At Seven Steps Healthcare, we show respect by considering and understanding peoples feelings, thoughts, behaviours and needs. By demonstrating respect to others. We believe people have the right to be treated with dignity and respect. Everyone at Seven Steps Healthcare is committed to enabling people to feel self-worth and self-respect by what we say and how we support them. We are much aware of the fact we are wholly accountable for our actions and omissions when working with service users, family members, the public and members of the team. Fill out the form below and we will be in touch as soon as we can. We look forward to hearing from you!